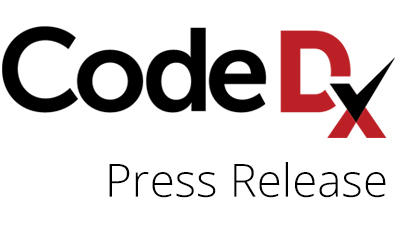 NORTHPORT, N.Y. – March 18, 2019 – Code Dx, Inc., provider of an award-winning application security solution that automates and accelerates the discovery, prioritization, and management of software vulnerabilities, today announced it will be spotlighted as a top success story at the 2019 S&T Cybersecurity and Innovation Showcase hosted by the Department of Homeland Security (DHS) Science and Technology (S&T) Directorate. Code Dx Enterprise, the company’s flagship product, grew out of the research funded by the DHS S&T to help secure the nation’s software supply chain from attack. Code Dx, Inc. was spun out of Secure Decisions, a division of Applied Visions, Inc., who has developed several technologies through DHS S&T research investments to make software more secure. Secure Decisions has released some technologies, such as the Attack Surface Detector and Code Pulse, to the open-source community for continued development and dissemination. And, it spun out Code Dx to further mature and commercialize other technologies such as the Code Dx application vulnerability management system. The Cybersecurity and Innovation Showcase is being held March 18-20, 2019 at the Washington Marriott Wardman Park in Washington, D.C. highlights S&T’s support to introduce its funded research projects to government, industry technology implementers including chief information officers, pilot and testing partners, investors, angel funders, and other potential market transition partners. More than 1,000 cybersecurity and technology professionals are expected to attend this event. Code Dx, Inc. is a provider of an award-winning application security solution that automates and accelerates the discovery, prioritization, and management of software vulnerabilities. The Code Dx Enterprise solution integrates the results of multiple static, dynamic, and interactive Application Security Testing (AST) tools, third-party component analyzers, threat modeling tools, and manual reviews into a consolidated set of results for quick and easy triage, prioritization, and remediation. The core technology was partially funded by Department of Homeland Security Science & Technology (DHS S&T) to help secure the nation’s software supply chain. For more information, please visitor contact Code Dx at (631) 759-3993 or at Info@CodeDx.com.